Note: Although Ranger Up will not be sponsoring Tim Kennedy for his upcoming bout, it is believed that the National Guard may step in and make it’s debut on the Strikeforce: Fedor vs Henderson July 30th event by sponsoring Kennedy. I think it’s crap that the money mongrels of Zuffa would do this. They’ll still get their money. What does it matter? I am a Ranger Up customer, Kennedy fan, and a fellow veteran and if it wasn’t for Kennedy, I wouldn’t even watch Strikeforce. I won’t ever buy a PPV from Zuffa again. Time to watch it for free. Zuffa lost my donation. Tim Kennedy will be fine. Fans will continue to buy UFC PPVs. Another question: do you guys really miss seeing things like condomdepot.com on the back side of fighters’ shorts? Especially when you try to convince people that MMA is a legitimate sport? I know I don’t. I’d like to see analysis of how much Zuffa makes on fees versus how much sponsorship dollars up and coming fighters lose. I was in the stands of a UFC event just after the fee policy first took effect, and one fighter on the undercard literally had zero sponsors on his shorts. Or perhaps he was sponsored by the color red. Either way, that’s a huge hit to the lower profile athletes who probably have to moonlight before getting decent fight purses. I had never watched Strikeforce until Kennedy came onto the scene. That’s also the only reason I purchased Showtime. I’m with Wylde; canceling my subscription…time to hit the web. It seems people need to wake up and realize MMA has been around longer than 2005. Back in the day fighters would be thanking their local grocery store and gas stations and local mechanics and local lawyers. It is embarrassing that not only fighters had to take peanuts from these locals but that the fighters mentioned these companies on the world wide stage. Very low class. Now the UFC has got almost everyone sponsored by national companies for big money. Now Zuffa is trying to do the same for Strikeforce fighters. Soon after the rules are in effect and the trailer park feel of local sponsors have worn off. Then Fortune 500 sponsors will come in throwing money around. No one is going to sponsor a fighter for half a million dollars when the opponent got their company in the same cage for $100 and a jug of protein powder. Some of these fan boys need to learn how the business works and quit crying like little babies. Has anyone heard what these taxes or fees cost? What is believed is that they charge about $30k-35K per 6 months or around $100K for the year depending whether its on Strikeforce or UFC, type of sponsor, etc. It’s a sliding scale but it’s around that range from what I’ve heard. Apparently some of the people above are not thinking clearly. Hinting at instead of buying the events now they will be getting them free or hitting the web. So what they are saying is they will be pirating feeds of the show. That rationalization is just odd to me. Don’t they realize that that response is hurting the fighters sponsorships dollars also. Sponsorship dollars go up the more people watch and go down the less people watch. So go ahead people get pissed off and quit watching your favorite fighter fight because of this and see what that does for their sponsorship dollars. I think those fees can be applied judiciously for certain brands. If someone is supporting a charity by wearing the logo on their shorts, does the charity have to pay a fee to the promoter? There is room in the implementation of this policy to make exceptions for certain cases. 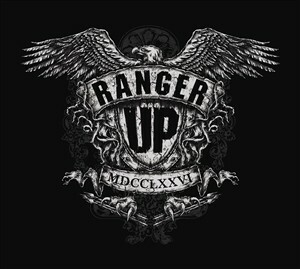 I know that “Ranger Up” is a big supporter of the military, and as Marine I can appreciate that (although you won’t catch me dead wearing “Ranger” or “Army” anything), but it’s also a for-profit company. Let’s say that a company sponsors fighters and is also committed to donating 50% of their profits to a cause like Wounded Warriors. Zuffa has done right by the military in the past and I’m sure they would be willing to lower the fees in such a case. To Machiel Van. Are you serious about the condomdepot thing? It’s a good think that a condom company was sponsoring at events. It gets the word out to use a condom. Condoms keep stds down and people like you from being born. True, it was a good thing when the UFC had a lower profile, but in order to be perceived as a legitimate major sports brand, things like that had to go. Can you imagine a condomdepot.com ad banner at one of the big stick and ball sports games? Exactly. I understand not everyone wants MMA to become a huge, mainstream sports property, but some of us do. I think it’s a very complex issue that is probably impossible for us as fans and even for for those in the media to really pass judgment one way or the other as why the decision was made. I too am a Veteran of OIF, Ranger Up customer, and MMA enthusiast so I too would love to see RU name out there as they are a huge contributor to the Wounded Warrior project and are also wholly owned by current and former members of the United States Armed Forces. Any time we can bring attention and focus to the masses on the ever growing need of support and understanding of the issues veterans are facing. God only knows too many us are suffering in silence or needlessly falling through the cracks ending up homeless, incarcerated, or further isolated as a result of a society who is totally unaware or almost indifferent to the issue. So any national exposure (Professional MMA events) to the ever growing issues our nation’s veteran community is facing is a great way to get the issue at least seen. So it’s a shame that won’t be happening with Zuffa or Strike force but I don’t think that is even relevant as regard to that fight league as I heard that they have dissolved and are no more. I hope tree the UFC can find away to bring attention to the issue and I hope TKO TIM Kennedy just destroys his next opponents one after another till he gets the title he deserves he is a national hero and brother in arms.